There is no extra $$ when you’re a student. So, why not try any effortless ways to earn a few bucks/pounds? The Typical Student team keeps exploring the best money-making options students could use to get extra income. Previously, we told you How to Earn £30 an Hour on Tinder? BEST Summer Job for UK Students 2018 and How to Get Paid £100 for Eating KFC. Join in to learn some new ways to earn a few pounds/dollars that may be applicable to your situation! Okay, we’ve all been there done that! Filling out online surveys in our free time, that is. Our consumer society always needs to test new products as well as new people to answer surveys. That depends on how much time you’re ready to devote to this tedious business. For filling out specific surveys, you could easily earn up to £3/$5. Regular ones would probably earn you a couple of quid. Which companies should you take surveys from? There’s also a cool option to register with Swagbucks that offers the reward for things like doing surveys, web-surfing, playing games or watching videos. PLEASE NOTE: Legislation in different countries may view matched betting as a gambling practice, so check the laws and regulations before engaging in any matched betting activities! In the UK, a person is not breaking any laws by doing matched betting. Lately, students resort to this option allowing them to earn up to £100! 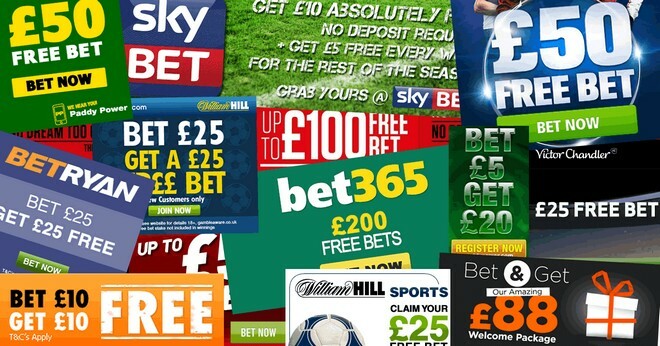 Free bets are offered regularly by betting websites through ‘matching' them at a betting exchange. Matched betting is relatively safe as you’re betting for and against a particular outcome at the same time. A free bet can be as much as £200! If you wish to calculate how much money you could possibly earn on matched betting, just multiply this sum by the number of betting websites. The possible profit could be up to a few hundred pounds. Earning money while you’re surfing the web? Easy! Websites like Qmee.com reward you for doing the web search in Google, Yahoo or Bing. All it takes is to install a browser add-on. While you’re doing your search, sponsored results will show up alongside the regular ones. What’s good about the service, there is no minimum cashout - so, you can easily wire any sum starting from 72p to your Paypal account. Alternatively, you could donate the money you’ve earned to a non-profit. On platforms like UserTesting, people get paid for doing reviews on websites and web apps. On average, each website review takes up to 20 min to complete, getting you $10 (£6.50) via Paypal. All you need to do is register with the service and complete a test review. If all is well, you will receive new websites in your inbox, hence more money.